Mom's WWII Letters. 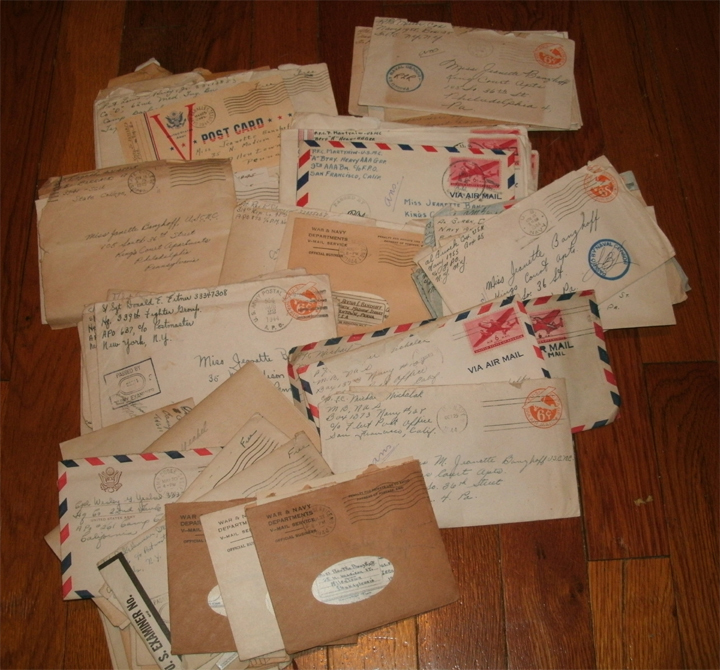 In May 2017, I found my mother's stash of letters from 16 servicemen that she had corresponded with in 1944-1945. Most of the men were from her hometown of Allentown, Pennsylvania, or from her college roommate's hometown of Trenton, New Jersey. Nearly all of the writers were now gone and could no longer offer information or explanations for what they had written. I began to trace the soldiers' family trees with one goal in mind: to return the letters in person to their children. Here you will hear some of the stories of the men, their experiences, and what their relatives have to say today. Me and Daddy: Stories from the Birthday Pictures. A memoir blog that includes a slideshow of our birthday photos, which you can also see here. 1958-1992 are currently posted; the rest will follow someday. Refreshing the browser screen will re-start the show. Clicking on a single photo will "choose" it and will provide years and more details.